Disney Springs is adding to its menu of Italian eateries. Patina Restaurant Group, owners of Morimoto Asia, announced that they will open Enzo’s Hideaway and Pizza Ponte, early next year. The group is also opening the traditional Italian trattoria, Maria & Enzo’s in the same complex. A statement released by the group describes Enzo’s Hideaway as a “Roman- aparativo-inspired” speakeasy that pays homage to Florida’s rum running history. The prohibition theme extends to Maria and Enzo’s, connecting to the restaurant through the building’s rum-running tunnels. Expect foods like Bucatini alla Carbonara, a hollow spaghetti with creamy egg dish with pancetta sauce and Tonnarelli Cacio e Pepe, square-cut spaghetti with pecorino and black pepper. Pizza Ponte will offer savory and sweet options from Sicilian-style pizza by the slice, Triangolo (stuffed pizza bread) and Bomboloni Italian doughnuts, to Sfoglia di Riso rice cream pastry and a classic Tiramisu. The new restaurants also come with the group’s development of The Edison, a “Industrial Gothic” style bar and restaurant expected to open by the end of 2017. 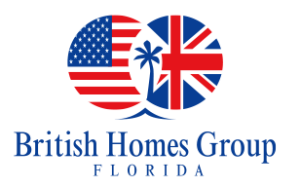 Serving UK and International Villa Owners and Property Investors in the Walt Disney Area ofÂ Central Florida For Over 30 Years! Mickey and company arrive on the train and instant mass photo opp begins. The characters disembark for a bit of waving and merriment and a 10-9-8 countdown for the park opening. SeaWorld opens with the national anthem through the park’s P.A. system about 15 minutes before the people work their ways through the turnstiles. Once the park is opening, the soundtrack switches to “Beneath the Blue,” a soaring non-national anthem written for SeaWorld’s 50th anniversary. Universal Orlando’s…one park opens early each day for guests staying in on-property hotels. It alternates between Islands of Adventure and Universal Studios. Most Universal early birds take advantage of alone time at the Wizarding World of Harry Potter. Regular visitors might opt for Hollywood Rip Ride Rockit at the Studios or the Amazing Adventures of Spider-Man or Pteradon Flyers at IOA. That could all change again this summer when the Incredible Hulk coaster reopens and when Skull Island: Reign of Kong makes its debut. The introduction of Afternoon Tea at Solarium Gardens at Disney’s Beach Club Resort. Available on select dates so please check their website. Guests ages 3-9 can enjoy a first course of assorted tea sandwiches (shaped like Mickey Mouse), second course scone served with clotted cream, lemon curd and seasonal jam, finale chocolate chip cookies. Accompanied with special “dark tea” (chocolate milk). Fellow lovers of afternoon tea, over at Disney’s Grand Floridian Resort & Spa, look for a brand new selection of Twinings teas at Afternoon Tea, exclusive to Walt Disney Parks & Resorts. Keep checking the Disney Parks Blog to learn more about the new offerings at Garden Vue Tea Room sponsored by Twinings® of London. Reservations are now available and can be made by calling 407-WDW-DINE. Although Visit Orlando officials are still collecting final data for 2015, leaders said the area is looking at another record year across the board. George Aguel, chief executive officer for the region’s marketing arm, said last year exceeded industry expectations, including a record number of occupied room nights and the total number of tourists. In 2014, Orlando and Orange County welcomed 62 million tourists, making it the first U.S. destination to record more that 60 million visitors in one year. Orlando International Airport saw a 17.5 percent increase in international air travel. Lodging businesses in Orange, Seminole and Osceola counties reported 33 million occupied room nights last year. The region’s occupancy rate was about 77 percent for the year. A final announcement about the number of tourists, domestic and international, to come to Orlando last year will likely be made in April. Last year’s announcement was made in New York City, long considered one of Orlando’s top competitors. Visit Orlando leaders plan to spend 2016 continuing promotion of the My Orlando Story marketing campaign, an international social-media push to connect with the tourists and the emotions they felt when they came here. It was the first time the destination marketing organization focused on tourists’ personal appeal. The first allocation of investment villas at Rosemont Woods, the first legitimately guaranteed 5-year rental income community near Disney, has been sold-out. Orders taken now will be ready of occupancy, renting-our and investment income generation in about 6 months time. The initial lease-back contract is for 5 year, @ $2,500 per month, and will be renewal for another 5 years in 2020. A game-changer in the investment villa rental business. 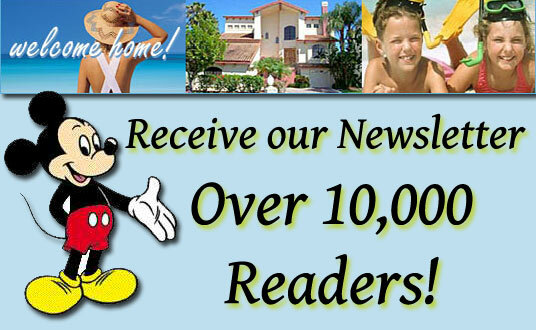 Happy and safe guaranteed 5-year Lease-back Orlando Villa investing! 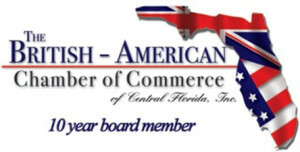 Serving UK Villa Owners in the Walt Disney Area of Central Florida for Over 30 Years!